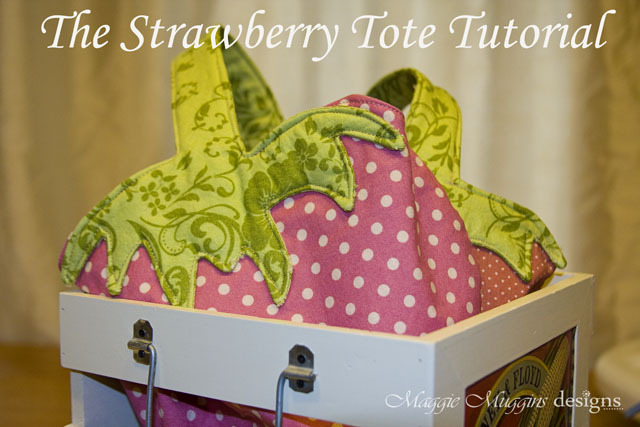 Did you all go over last week to see this tote tutorial on Sew.Craft.Create? Seriously, it is adorable. BUT I made another one and I do have one UPDATE. It's just something that will make sewing that handle on a little easier. Scroll down to STEP 12 to read my notes. I also have three new versions for you to see. I'll be posting about those later today. I know I promised them last week, but things come up. You all know how that is. Lining Fabric 9" x 22"
1. 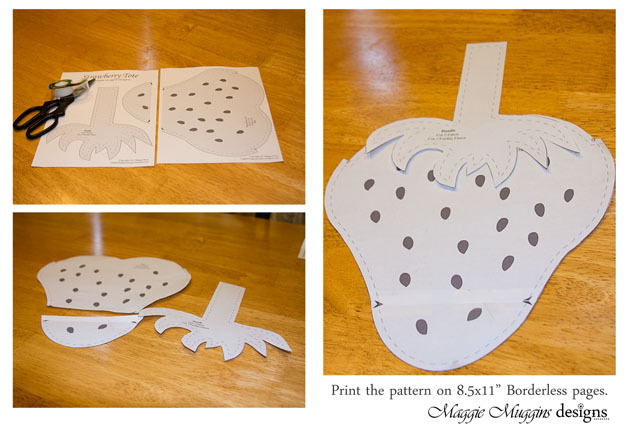 The pattern is printed over two pages, you need to print it with the printer set at Borderless if possible. 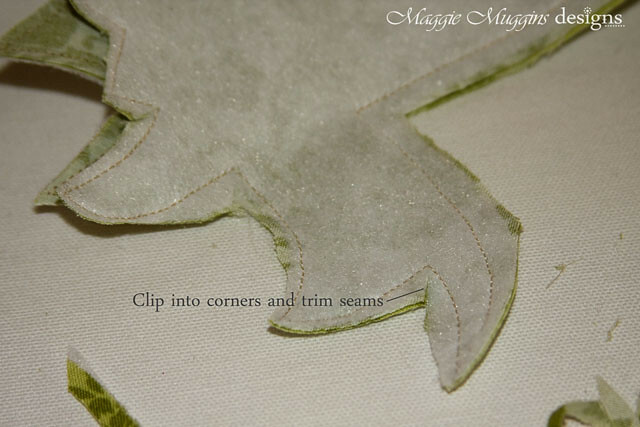 Then cut out the pieces and join the Tote at the triangles (to make an arrow head) to make the full pattern. 2. 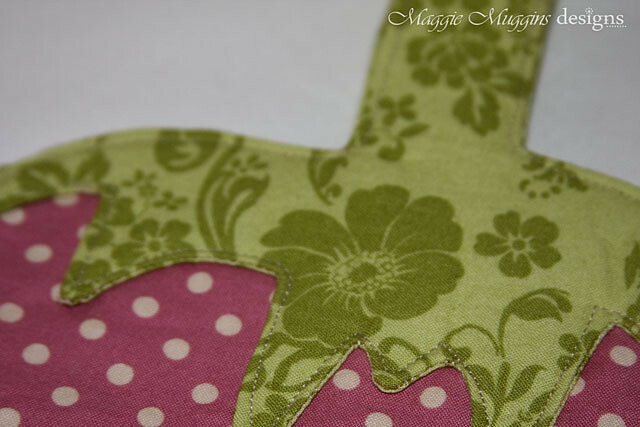 Cut the tote and handle from the fabric, interfacing and fusible fleece as directed on the pattern pieces. 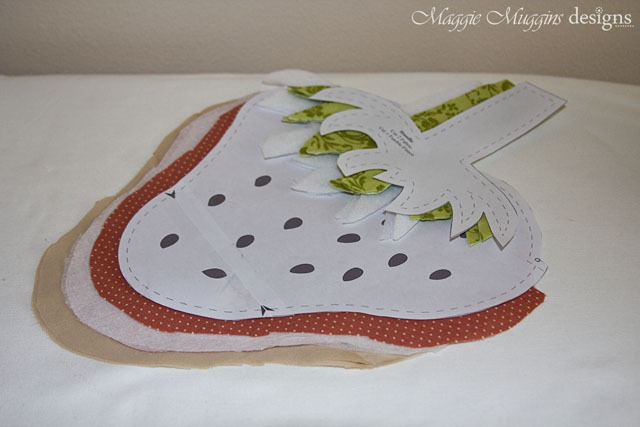 Make sure to line the handle up on the fold where marked on the pattern to cut it out. This makes the handle one solid piece. 3. 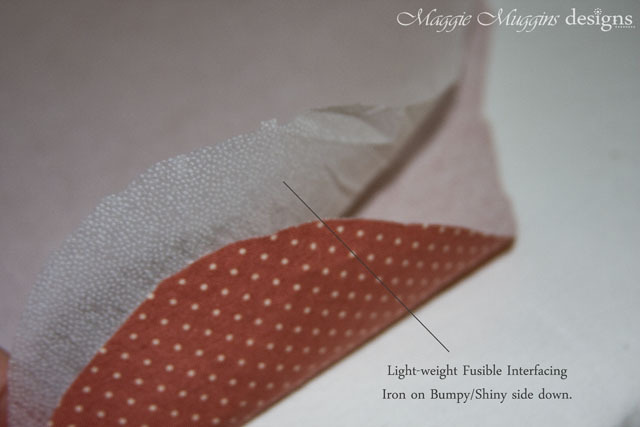 Iron on the interfacing (glue/bumpy side down) to the wrong side of the outer fabric of tote. 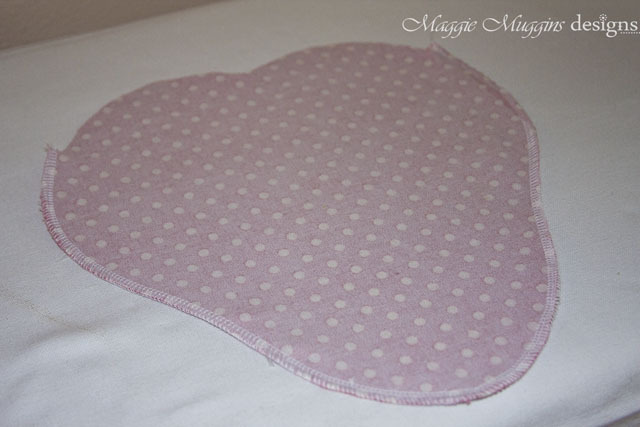 Interfacing can go on the lining or the outer fabric, but for this particular project I wanted the outer fabric reinforced (it is easy to stretch as you sew around the curves. Iron on the fusible fleece to the wrong side of one handle. 4. 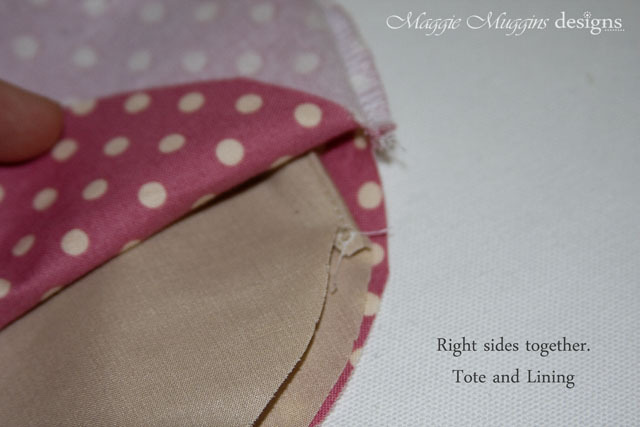 Right sides together, sew from one circle (marked on pattern) around the bottom of the tote to the other circle. Seam Allowance 1/4". Finish the seams and press right side out. 5. Repeat Step 4 for the lining, leaving a 2" opening along the side at some point. Finish the seams, clip the curves and press right side out. 6. 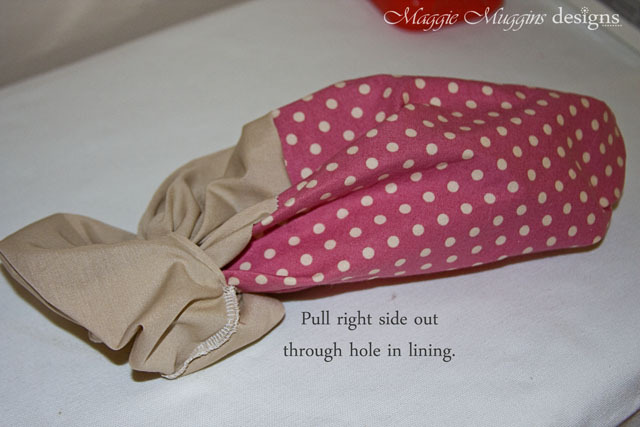 Flip the Tote wrong side out, and insert the lining right side out into the main tote. Right sides together, line up the tops and pin. 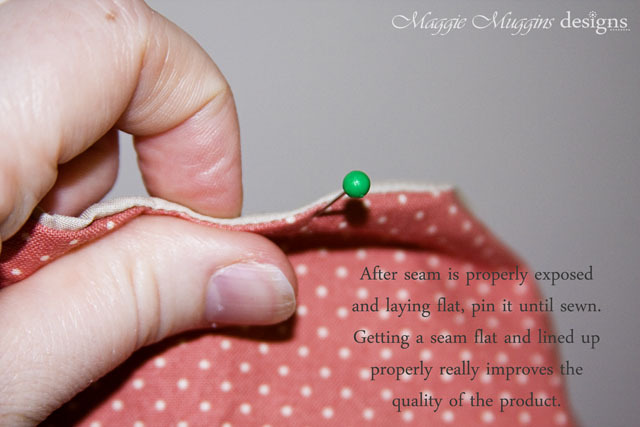 Sew completely around the top. 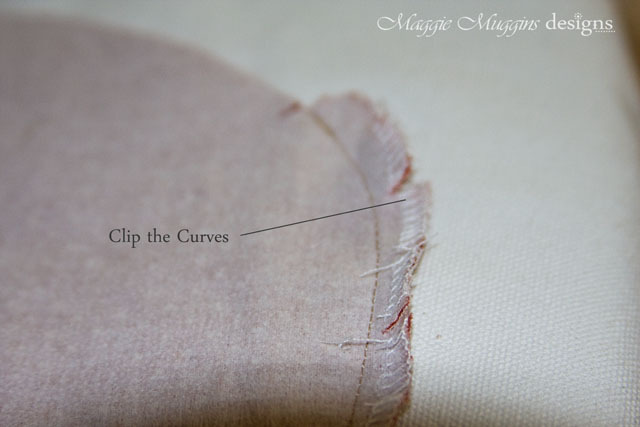 Finish the seams and clip the curves where necessary. Note: Remove the front tray on your sewing machine to use the free arm. This will make this and other seams easier. 7. 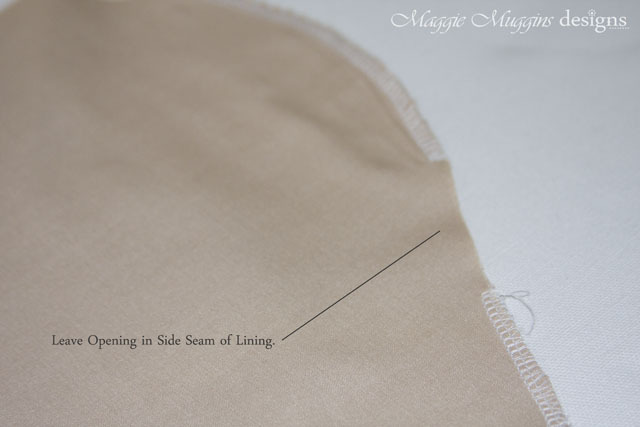 Pull the right side of the lining and tote out through the opening in the lining. 8. 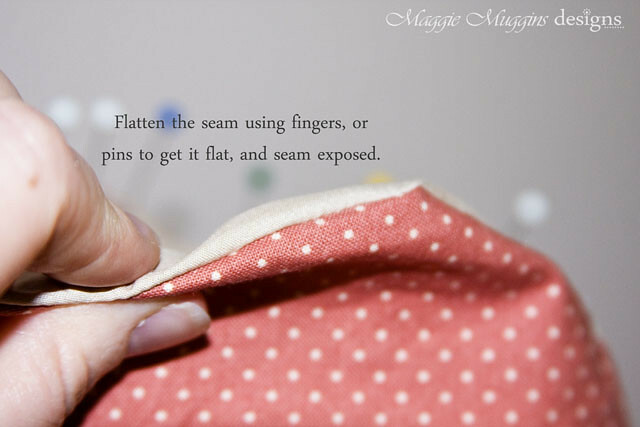 Flatten the top seam out nicely, rolling between your fingers, or using a pin if necessary to get it to lay flat. Pin if needed. 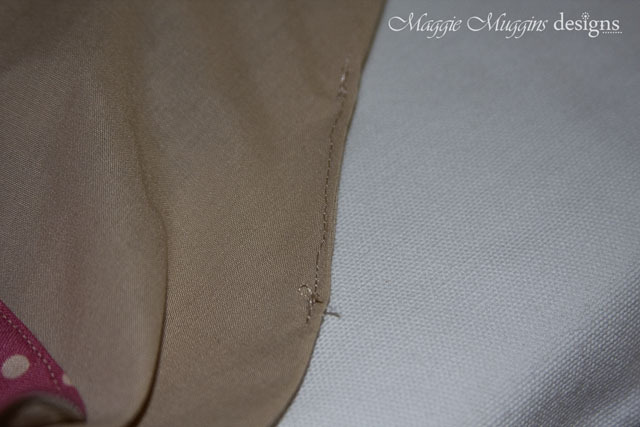 Top stitch at 1/8-1/4" around the top seam. 9. 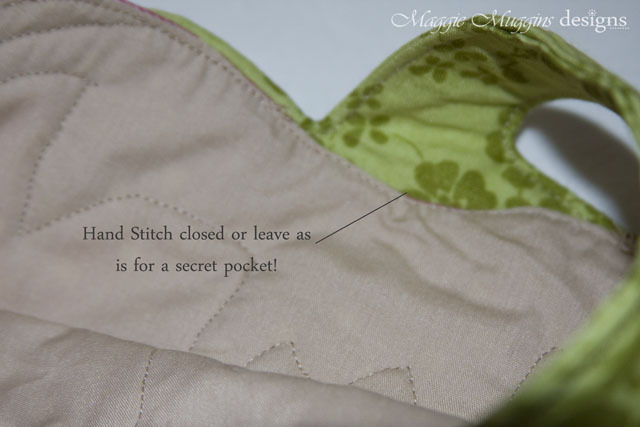 Stitch closed the opening in the lining. 10. 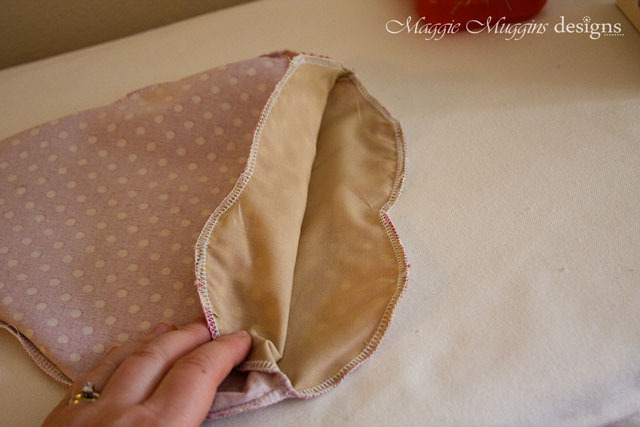 Right sides together, sew the handle with a 1/8" seam, leaving a large opening on one side of the handle. 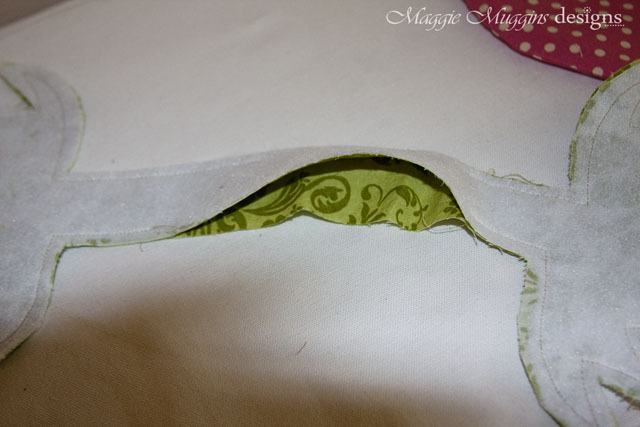 Clip the curves, cut into the corners, and trim excess fabric on the points to help it lay flat when right side out. 11. Flip the handle right side out. Use the end of a pen or pencil to help push the narrow stem pieces out. 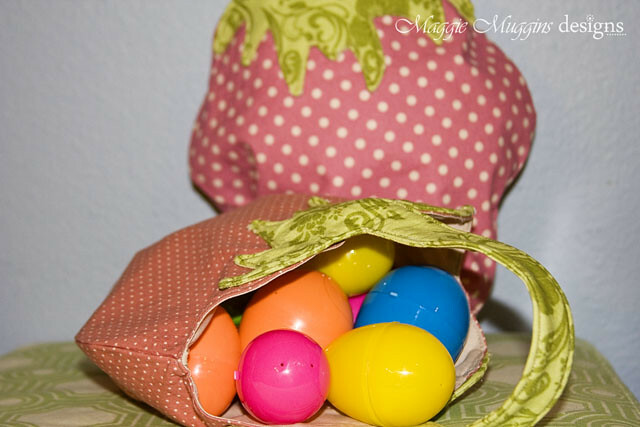 This will take patience, but you don't want to rush it or you may accidentally rip the fabric. 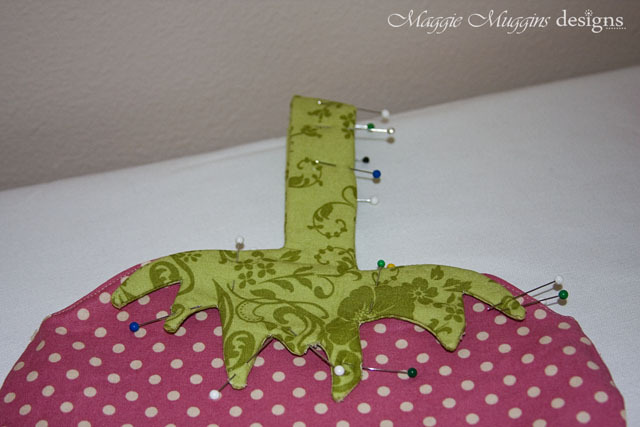 You can also use a pin to help tug on the pieces from the outside. Pin where necessary. Pin the opening for the handle closed. 12. Pin the handle to the top of the tote with fleece side facing out. Top stitch around the entire edge of the stem. 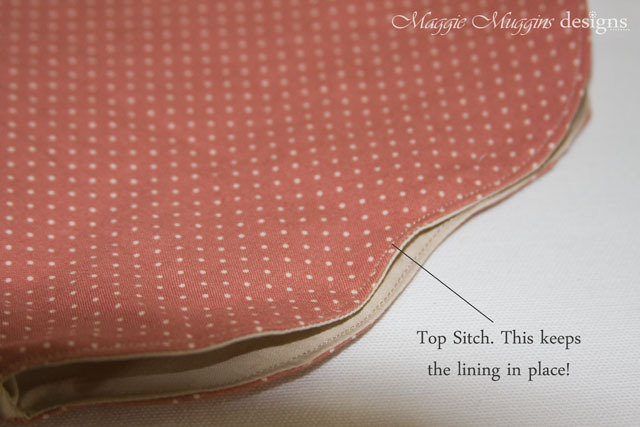 The top stitch will actually be your seam for attaching the handle to the tote, saving you more work! You can hand stitch the center of the tote that wasn't sewn closed on to the handle, or leave it open for a secret pocket! Note: The fusible fleece does more than give the handle a quilted look. 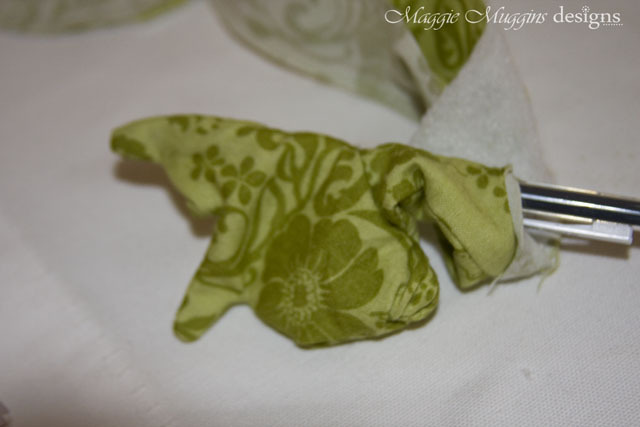 It helps hold the handle's shape long after it would have wrinkled and folded from other products! UPDATE: While I was making this for the third time I realized it would be a lot easier to only pin on one side of the handle at a time. 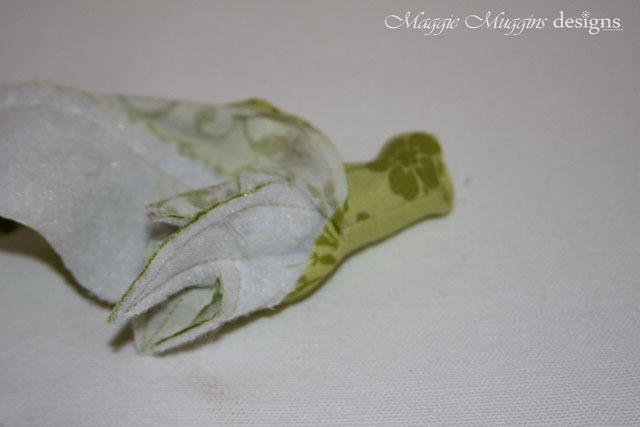 So I pinned one side on, starting on the right, I started an inch above where it turns into the leaves on the unpinned side, sewed down the handle, around the leaves pinned on, and back all the way to an inch above the leaves on the other side. THEN I pinned the leaves onto the other side and finished it up. It was SO much EASIER this way. There were way less pins to worry about, and it was a lot easier to make sure nothing was in my way. 13. Now press one last time for good measure and sit back and admire your work! 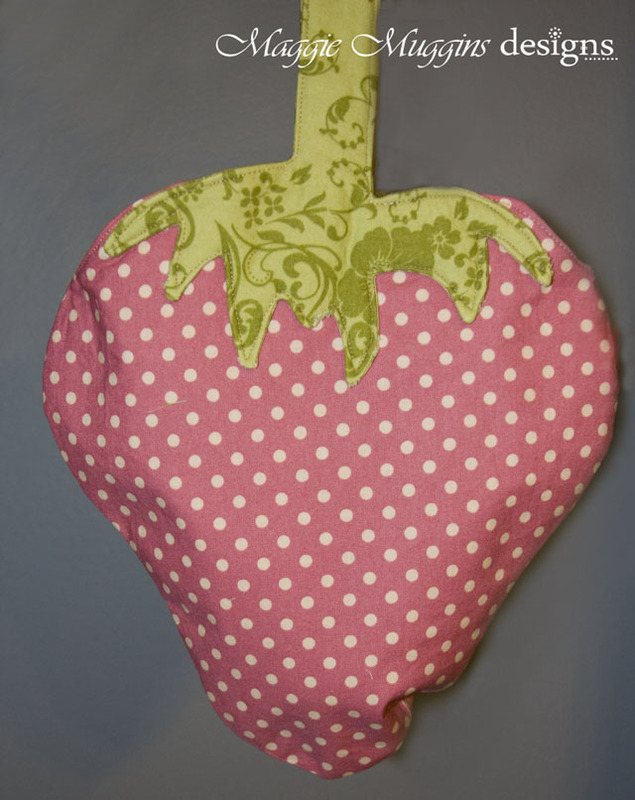 This is perfect for the Strawberry Shortcake loving girl, or as a gift for Easter! This is adorable! 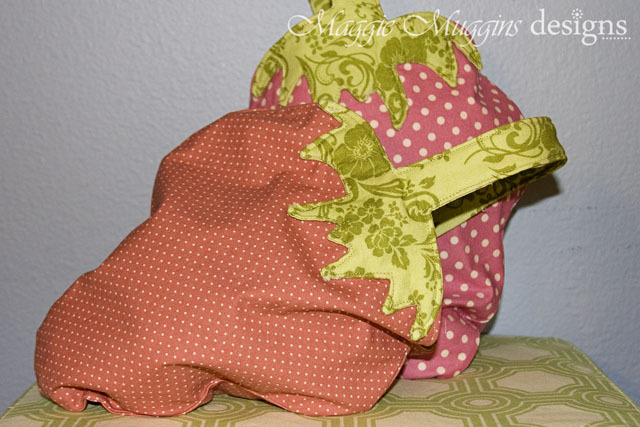 I'm going to make one as a "Trick-or-Treat" bag for my own little Strawberry Shortcake!